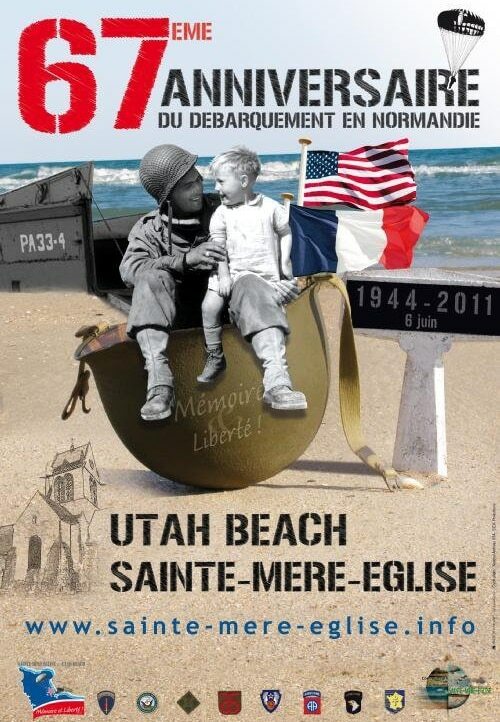 Today, France is commemorating the 67th anniversary of D-Day. June 6th, 1944, and the many days that followed leading up to the liberation of Paris in August 1944, created an eternal bond between France and the United States. And what a sacrifice they did for freedom! We can never forget them. To remember those brave soldiers, the American Battle Monuments Commission (ABMC) created and maintains the American Cemetery and Memorial in Normandy where millions of visitors from all over the world come to pay their respects. The Normandy American Cemetery and Memorial is located in Colleville-sur-Mer and is considered American territory. It sits on a cliff overlooking Omaha Beach and the English Channel (la Manche). Almost 9,400 service men and women rest in the American cemetery, including general Theodore Roosevelt Junior, the eldest son of President Roosevelt. To honor those brave men and women that gave their lives for freedom, many of them at a very young age, we wanted to share with you a short clip of these hallowed grounds in Normandy.